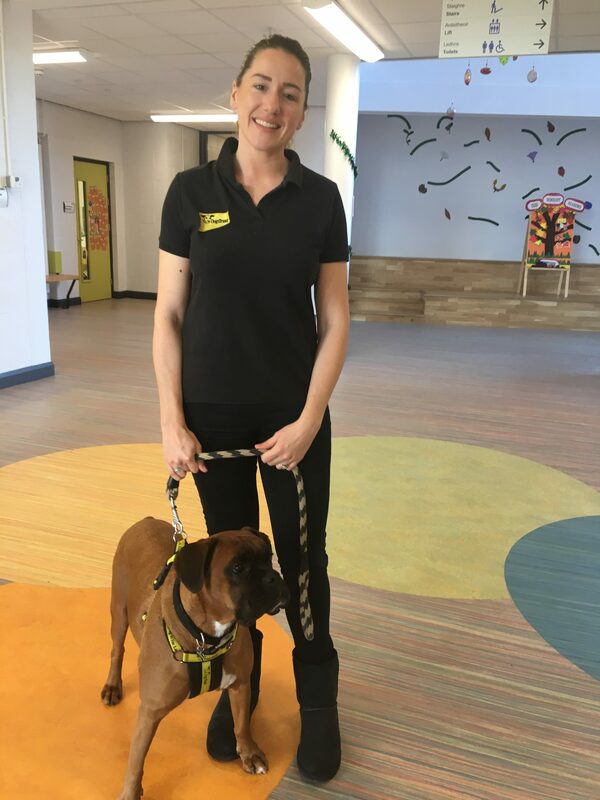 Fiona from Dogs Trust brought along her friend Ollie the boxer to meet all the boys and girls in L.J.N.S. The children learned about what to do when they meet a dog and practiced asking Fiona and Ollie if they could pet him. Ollie’s tail was wagging with excitement as he left the school after meeting all our friendly and careful boys and girls. The children also learned how to take care of a pet, and what a big responsibility it is to have and care for their own pet. First and Second class also learned about all the important work Dogs Trust do to find the right pet for the right home. It was a super treat to have Ollie coming into our classrooms.